Yesterday, Mayor Rahm Emanuel joined the Department of Cultural Affairs and Special Events (DECASE) and theMART to propose Art on theMart, a permanent large-scale lighting installation. The art will project across nearly three acres of the southern facing façade of theMART, the building formerly known as The Merchandise Mart. The project is privately funded by Vornado Realty Trust and is slated for a fall 2018 completion. 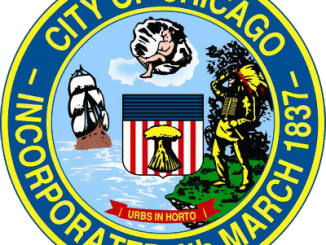 The City and theMART will enter into a 30-year agreement to facilitate the project pending City Council approval. 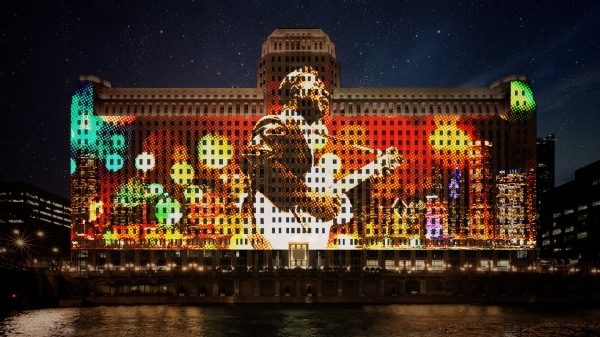 Art on theMART marks the first time a projection of its size and scope will be completely dedicated to art projection with no branding, sponsorship credits, or messaging allowed. It will be a curated, ongoing series of ever-changing installations that will begin after dusk for pedestrians and residents to enjoy. The City and theMART will be working in partnership in the management and ongoing curation of the projected art work. Mayor Emanuel Announces Millennium Park is Now the #1 Attraction in the Midwest and Among the Top 10 Most-Visited Sites in the U.S.